If you’re looking for a hidden camera that would blend in your office or appliance-packed house, this just might be the thing you need. Just plug it in and it’ll start recording as soon as it detects motion. It records 720 x 480 video at 30fps and backs it up to a microSD card. You do have to plug it in to an actual, working AC outlet because that’s where the camera gets its power. If the microSD card runs out of space, the camera will write over the oldest footage, so it’s practically maintenance free. 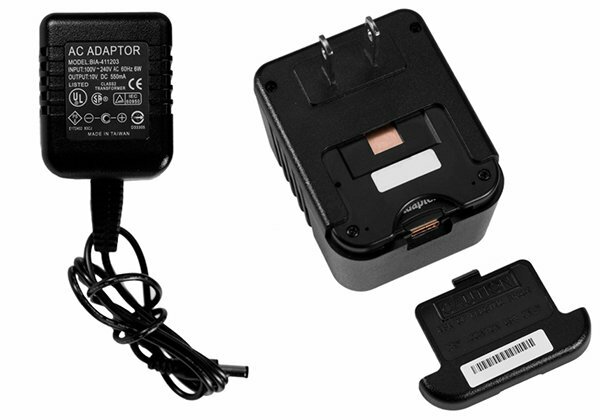 You can order the AC Adapter Hidden Camera from Brickhouse Security for $295 (USD); it comes with a 4GB microSD card, although the camera itself supports cards up to 32GB. If you want to have the option to record video 24/7 or have timestamps on your recordings, you’ll have to shell out $100 more for the Pro version. For those prices you’d better have some conveniently located AC outlets, otherwise all you’ll get are videos of legs and feet.